A Yellowstone geyser made its largest eruption in about 60 years last month when it shot water about 30 feet into the air, the U.S. Geological Survey said last week. The eruption, which occurred on Sept. 15, was the largest since 1957. Officials said aside from water the geyser also spewed years of trash buildup that had been left in the hot spring, the Yellowstone National Park wrote in a Facebook post. 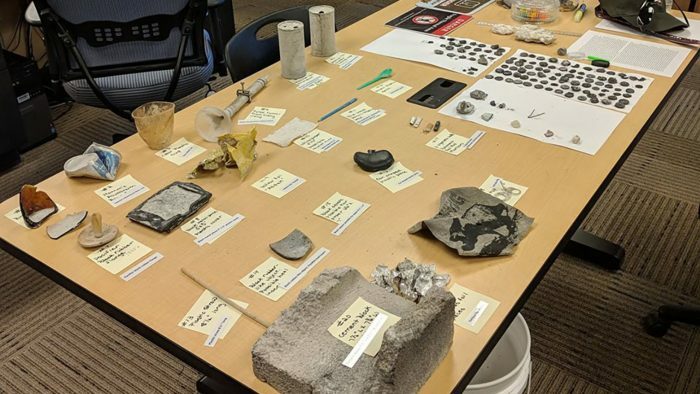 According to an article on the Fox News website, there was a lot of garbage in the mix, including coins, plastic cups, aluminum cans, a pacifier, a cement block and a variety of other items strewn out of Ear Spring on September 15th. That’s not cool. The park’s Facebook page stated that ““Foreign objects can damage hot springs and geysers,” and the next time it erupts, hopefully, there won’t be anything more than natural rock coming out of it. There was worry about volcanic activity at the park after the eruption, but according to the agency, there are “no signs of impending volcanic activity.” So, you can rest easy knowing Yellowstone National Park will not be the end-all to the earth…at least for now.